A couple of weeks ago I was contacted by a bag company called Clippy who are based in London. At first I didn’t think much to it, I thought it was just one of those chain PR emails but upon reading further and checking out their website I was really impressed. The concept of the bag is to create your own unique design, they basically give you the shell of the bag and you design the front and back however you want. You can do it all online or in person (like what I did) and you can choose from wash bags, stationary and of course their most famous photo bags. 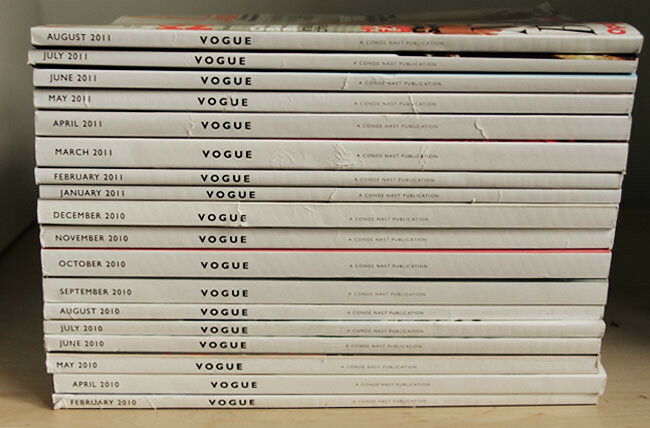 Thanks to previously being a fashion student i now have a large collection of Vogue Magazines (there are more) piled up in my bedroom. The best thing about these magazines is the fact the fashion editorials are perfect for gracing the front and back covers of my brand new photo bag! So after a flick through the March 2011 edition i decided to go for a Louis Vuitton shoot. It's so easy to remove and change so you could have a different pic everyday of the week! I really love this bag, i think it's totally different and perfect for when it rains, when i need to take shop items to the post office or when i need to grab a couple of items from the super market. I totally recommend these bags, i think they're perfect for gifts and have that total unique quality about them! I want one of these - awesome! Haha really creative bags :P I've never heard of it before! Going to check them out..
ooo may have to check them out! Imagine mine would say 'Karl Lager-who?" I actually really like this and it doesn't seem like my type of thing at all. I've seen quite a few of these bags about but normally they look quite poorly constructed and just child-like but these ones actually look lovely. Might have to invest in one. Oh, wow! 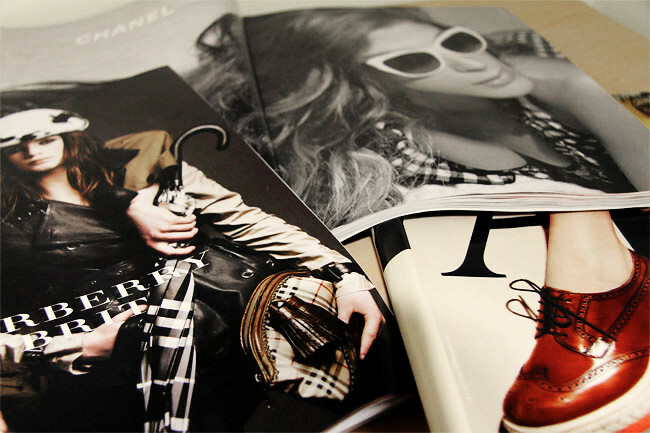 I love what you've done with the magazines - definitely a great idea! I'd do the same, if I wasn't such a freak about cutting up my mags, hahaha. The totes look really stylish, though. I love creative stuff like this, it really makes me want to get one!